Published by Christopher Johnson Ltd., 11-14 Stanhope Mews West, London First Edition 1967. London 1967. First edition hard back binding in publisher's original black cloth covers, gilt and grey title block lettering to the spine. 8vo 8½'' x 6'' 240 pp. ISBN 853070008. Monochrome illustrations throughout. Very Good condition book, in Very Good condition dust wrapper with slight tanning of the white paper down the spine, minor rubs to the spine tip and upper corners, not price clipped 35s. Dust wrapper supplied in archive acetate film protection, this protects and prolongs the life of the paper, it is not adhered to the book or to the dust wrapper. Member of the P.B.F.A. 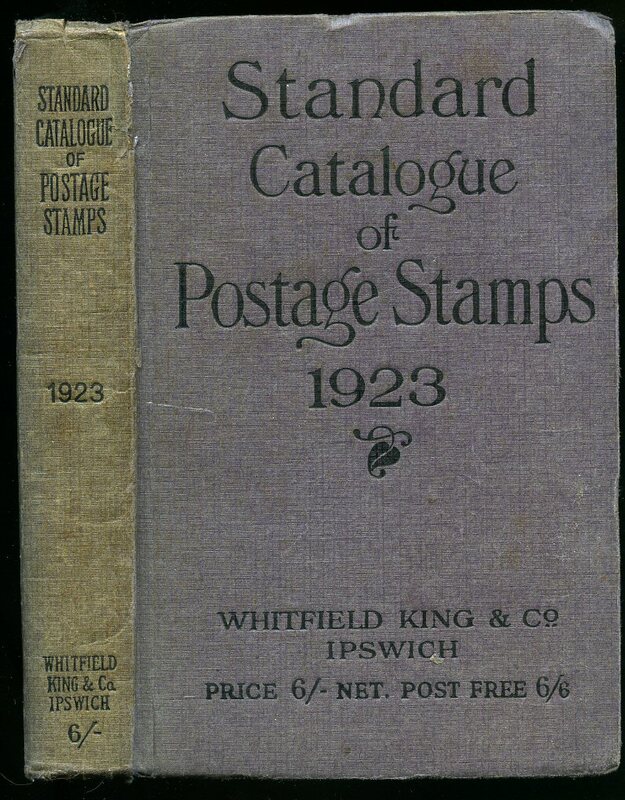 Whitfield King & Co., Ipswich Twenty-Second Edition 1923. 1923. Hard back bound in publisher's original aubergine cloth covers, black stamping to spine and upper panel. 8vo 6¾" x 4½" 720 pp. With over 5,300 monochrome illustrations drawn exactly one-fourth the size of the original stamps. Light rubbing to edges of spine tip, spine very slightly faded. Member of the P.B.F.A. 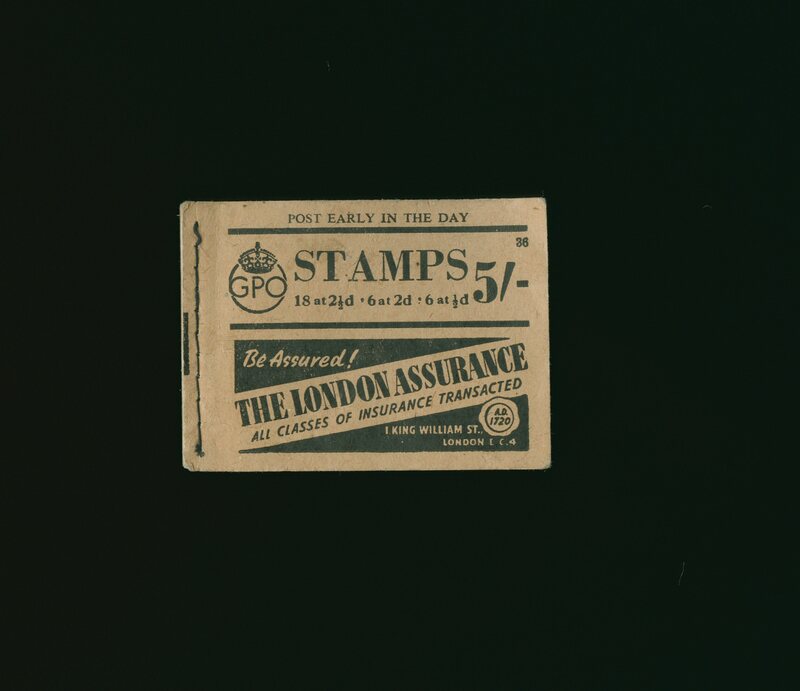 Original stitched beige card wrap covers, 'The London Assurance' advertisement to the front cover. 16mo oblong 2'' x 3''. 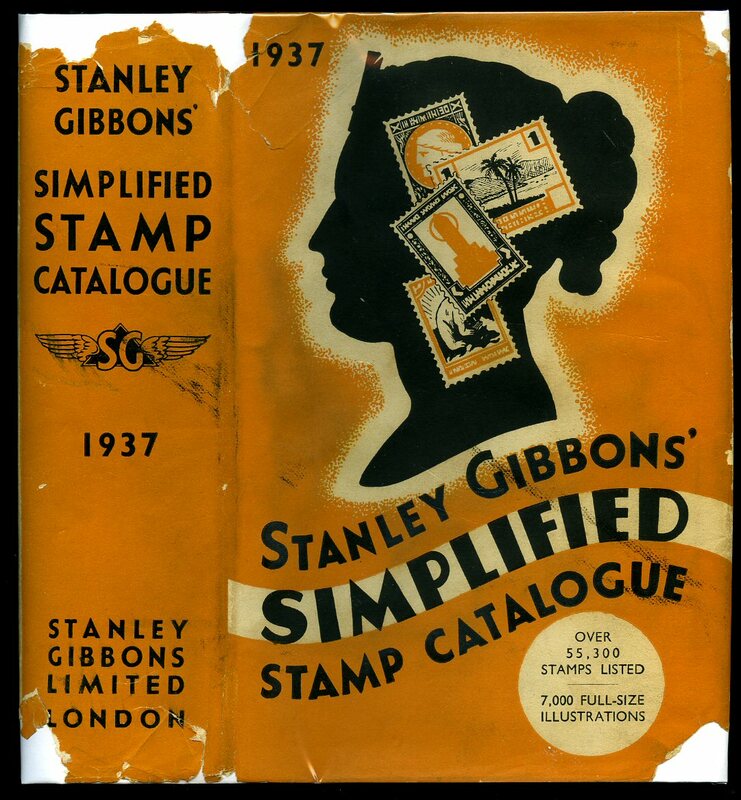 No stamps present, but interesting advertisements and Postage Rates which are between where the stamps have been detached from the perforations. 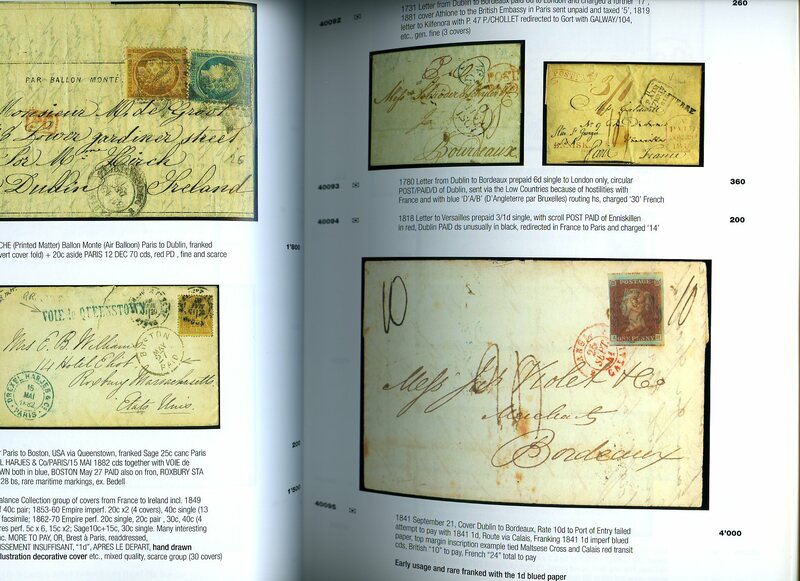 The booklet originally contained for following stamps: 18 @ 2½d, 6 @ 2d, and 6 @ ½d. In Very Good clean condition. Member of the P.B.F.A. Feldman Galleries, Geneva Regus House, St. James, London May 15th 2003. 2003. Publisher's original emerald laminated card covers. 4to 11" x 9" 356 pp. Sumptuous catalogue with colour illustrations to every page, produced on acid-free paper and in Fine condition, as new. Member of the P.B.F.A. 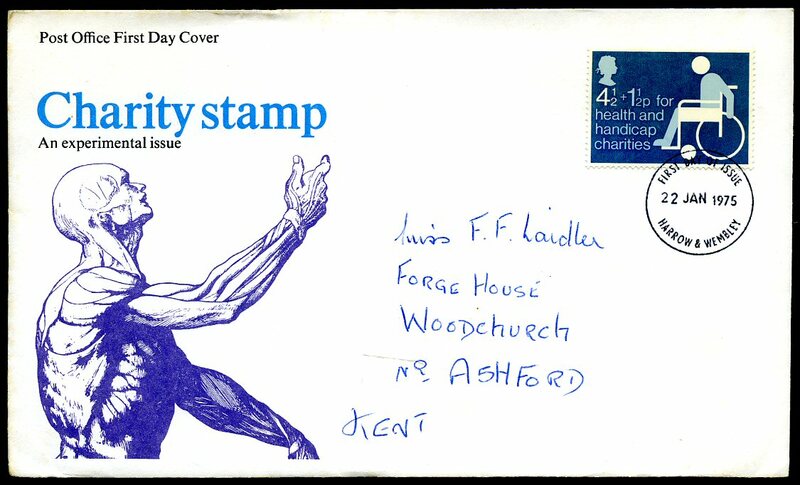 Post Office First Day Cover Charity Stamp; An Experimental Issue 22nd January 1975. Post Office Ltd., Finsbury Dials, 20 Finsbury Street, London 22nd January 1975. 1975. 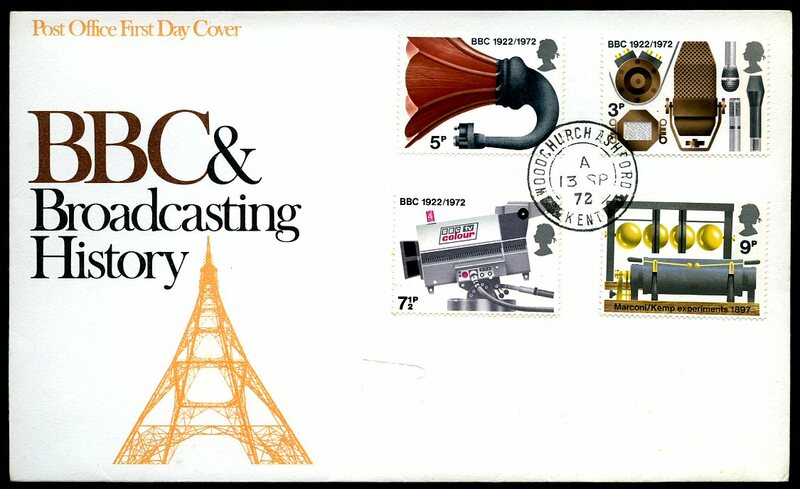 A first day of issue cover or first day cover (FDC) is a postage stamp on a cover, postal card or stamped envelope franked on the first day the issue is authorized for use within the country or territory of the stamp issuing authority. Sometimes the issue is made from a temporary or permanent foreign or overseas office. In Fine condition. Member of the P.B.F.A. Post Office Ltd., Finsbury Dials, 20 Finsbury Street, London 28th November 1973. 1973. Post Office Ltd., Finsbury Dials, 20 Finsbury Street, London 13th September 1972. 1972. Published by R. C. Alcock, Ltd., Cheltenham Spa, Second Edition circa 1971. 1971. Second edition hard back binding in publisher's original navy paper covered boards, gilt title and author lettering to the spine and to the front cover. 8vo. 9'' x 6''. Contains 91 [illustrated advertisements] printed pages of text with 144 monochrome illustrations drawn by the author. In Fine condition, no dust wrapper as issued. 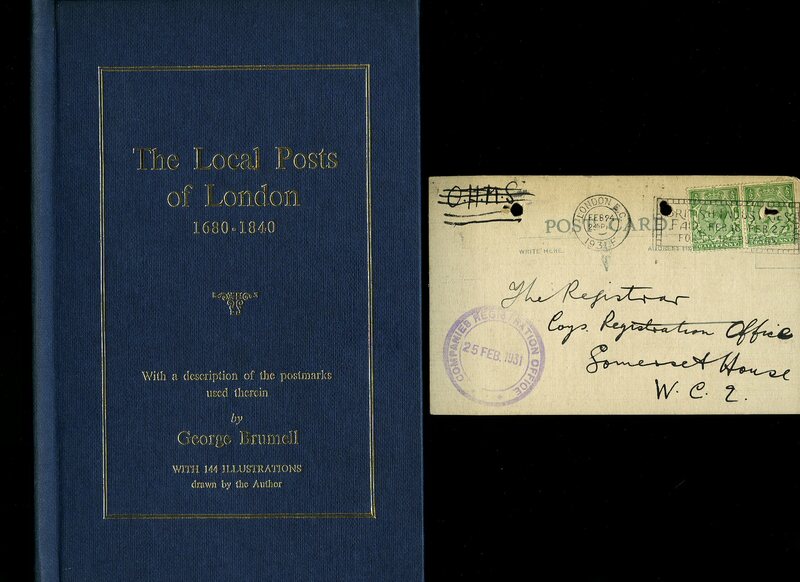 Hand written on both sides 1931 Registrar Card from Somerset House. Member of the P.B.F.A. Published by R. M. & R. W. Willcocks, 42A Hillfield Park, London 1960. 1960. 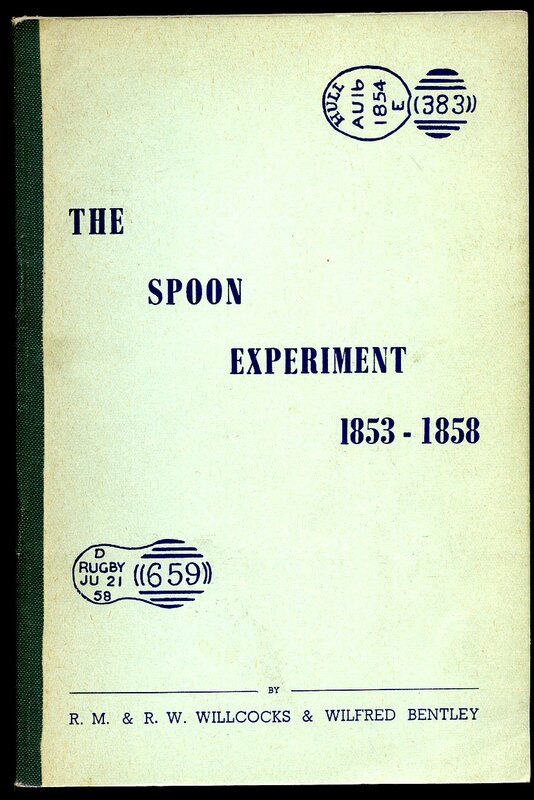 First edition in publisher's original peppermint green card wrap covers [softback]. 8vo. 8'' x 5¼''. Contains 46 printed pages of text with monochrome illustrations. In Very Good clean condition, no dust wrapper as issued. Member of the P.B.F.A. Post Office Ltd., Finsbury Dials, 20 Finsbury Street, London 24th April 1974. 1974. Published by Stanley Gibbons Ltd., Fifth Edition 1937. 1937. Hard back binding in publisher's original scarlet cloth covers, black lettering to the spine and the upper panel. 8vo 7½'' x 5¼'' 1046, 64 [pp] illustrated catalogue. Very Good condition book, in near Very Good condition dust wrapper with small chips to the corners of spine tips and corners, orange paper to the spine not faded. Dust wrapper supplied in archive acetate film protection, this is not adhered to the book or to the dust wrapper and can easily be removed should you so wish. Member of the P.B.F.A. 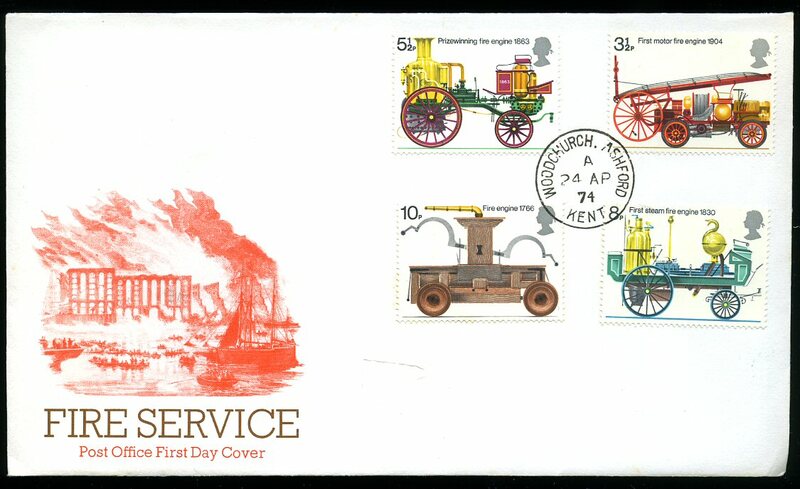 Post Office Ltd., Finsbury Dials, 20 Finsbury Street, London 27th February 1974. 1974. 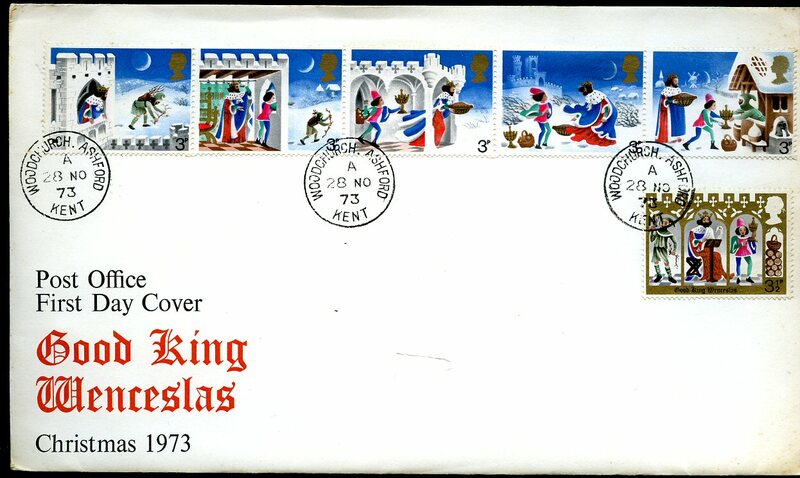 Post Office First Day Cover H. M. S. Victory Gibraltar Stamps 1967. Post Office Ltd., Finsbury Dials, 20 Finsbury Street, London 3rd April 1967. 1967. 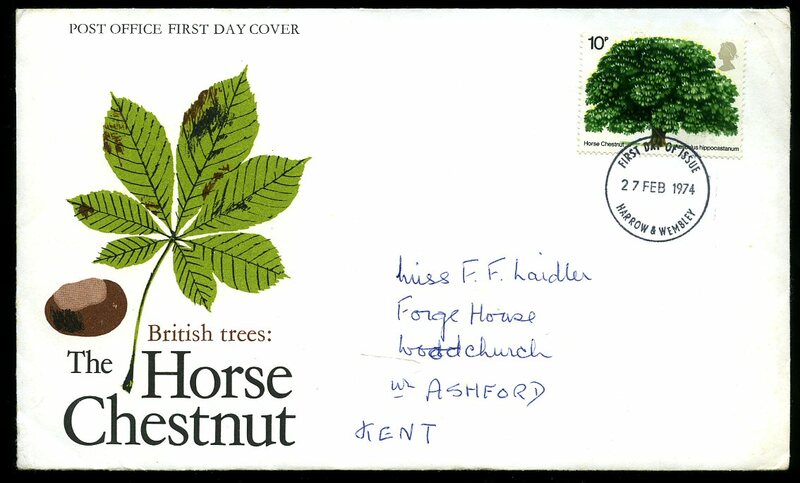 A first day of issue cover or first day cover (FDC) is a postage stamp on a cover, postal card or stamped envelope franked on the first day the issue is authorized for use within the country or territory of the stamp issuing authority. Sometimes the issue is made from a temporary or permanent foreign or overseas office. 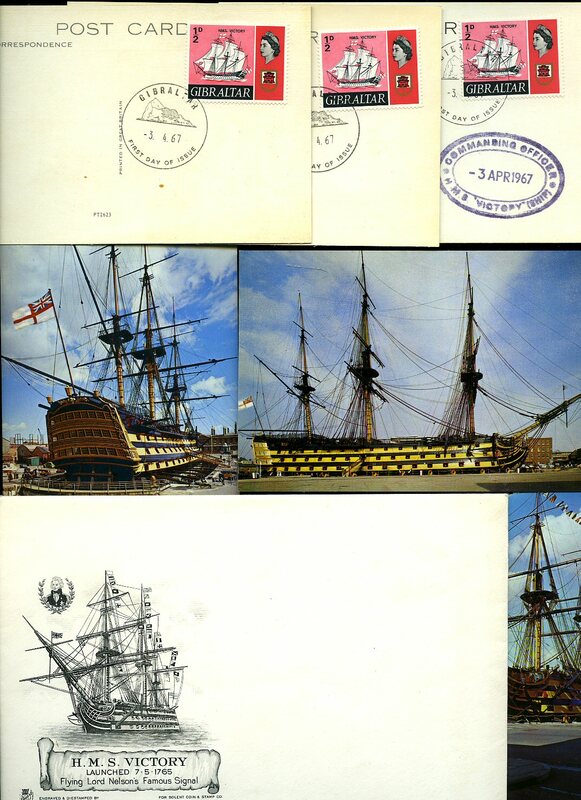 3 colour post cards each with ½d franked stamp, one stamped 'Commanding Officer H. M. S. Victory Ship'. In Fine condition. Member of the P.B.F.A. 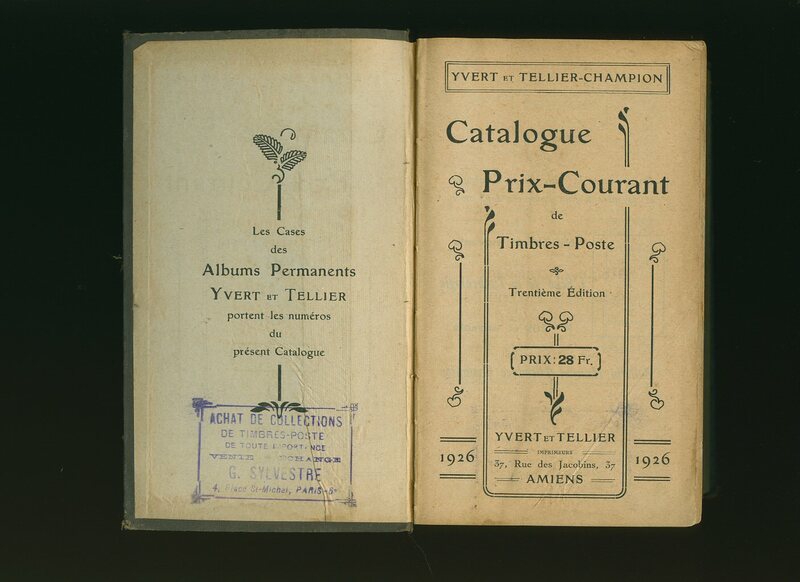 Published by Yvert et Tellier-Champion, Amiens, France 1926. France 1926. Hard back binding in publisher's original brown cloth covers, gilt title and author lettering to the spine and to the upper panel. 8vo. 7½'' x 5¼''. Contains 1196 printed pages of stamp illustrations with French text. Cheap paper browning to the closed page edges and margins, top of rear spine gutter torn, small tears to the lower spine end and in Good condition, no dust wrapper. Member of the P.B.F.A. 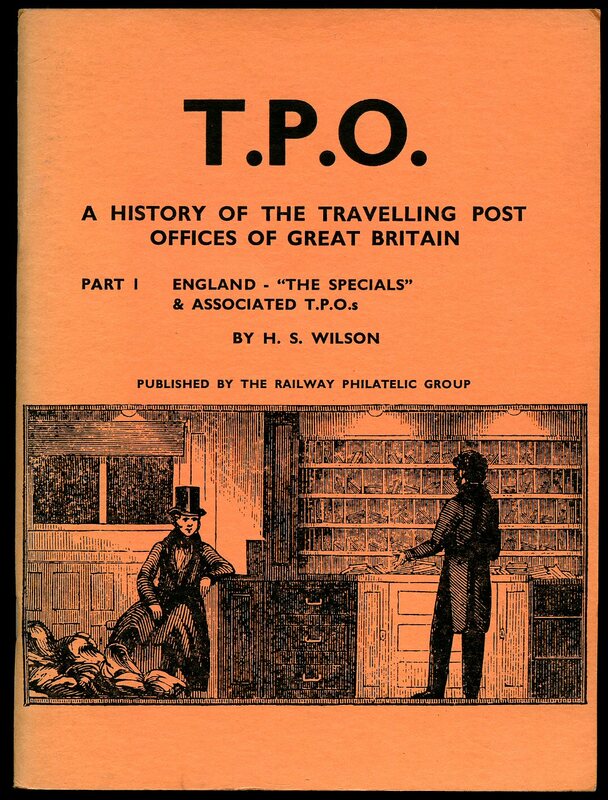 Published by The Railway Philatelic Group, First Edition 1971. 1971. 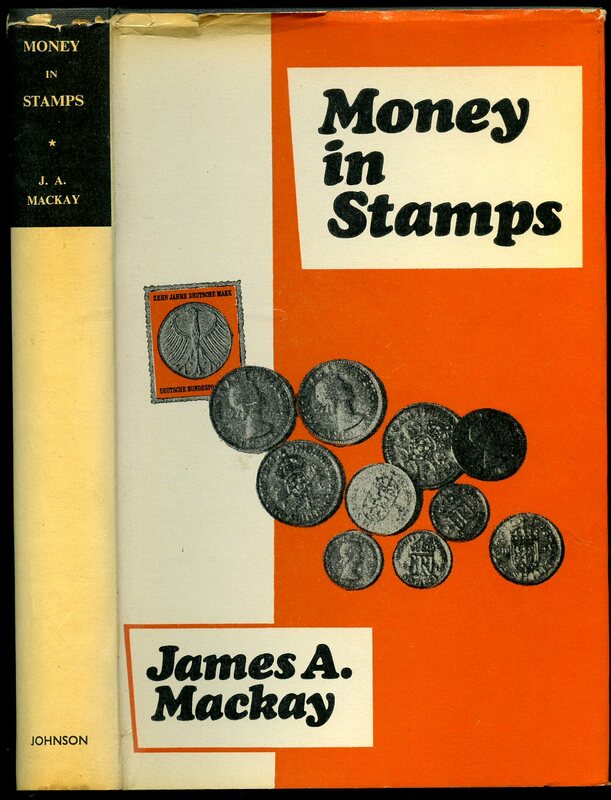 First edition in publisher's original illustrated orange card wrap covers [softback]. 8vo. 9½'' x 7''. Contains 74 printed pages of text with monochrome illustrations. In Fine condition, no dust wrapper as issued. Member of the P.B.F.A.